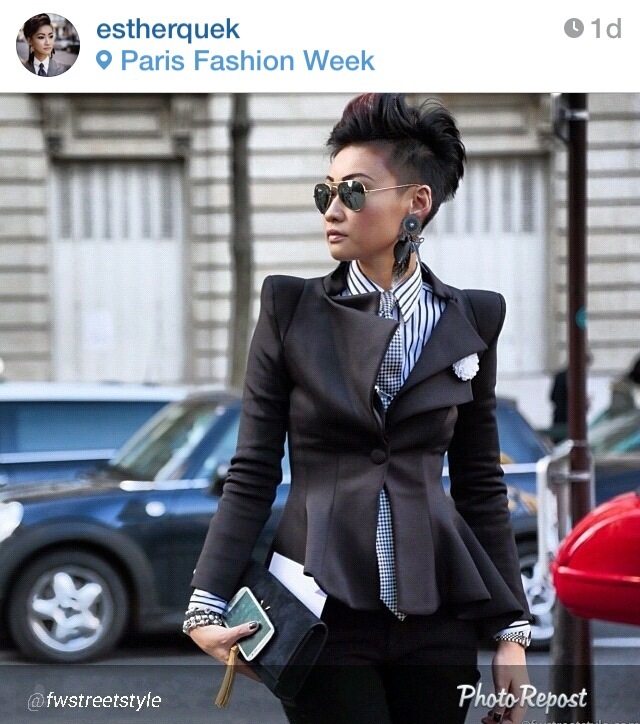 Marshbar's Closet - Styling, Fashion and Celebrity Style | Who said women can’t be dapper? 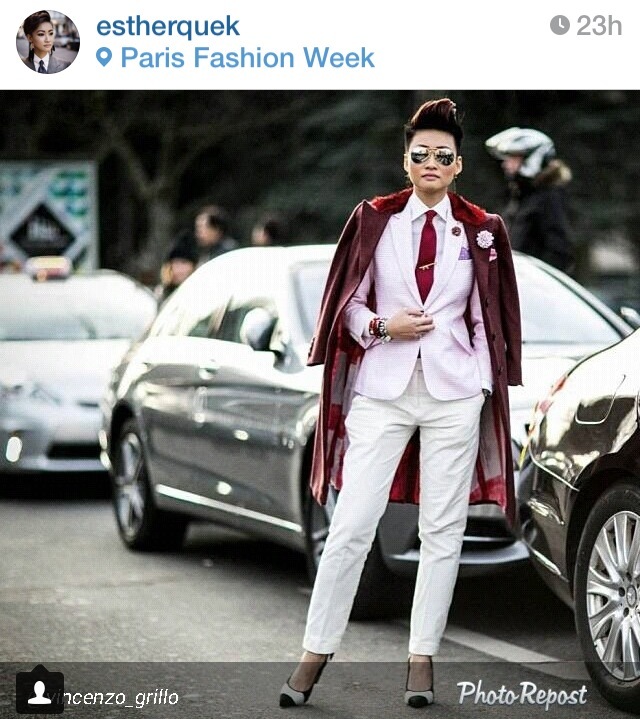 19 Jan Who said women can’t be dapper? 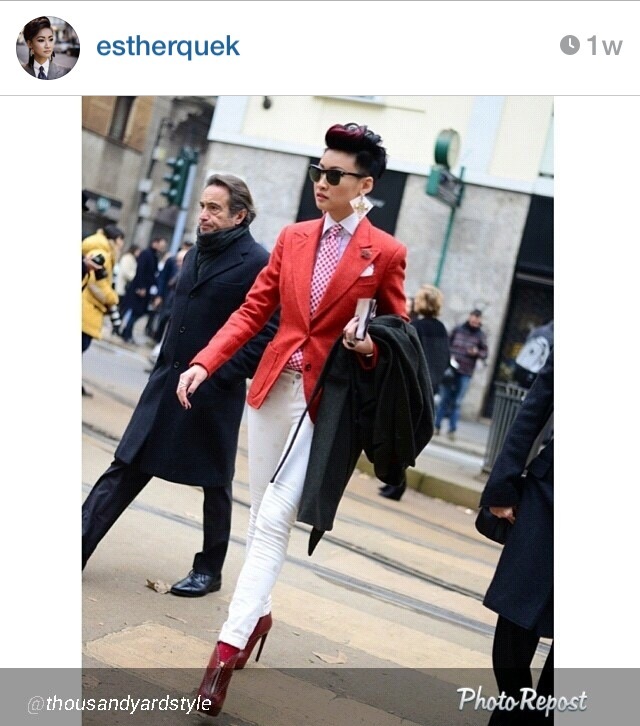 It’s Paris Fashion Week and Esther Quek, Fashion Editor, has taken men’s wear to another level. 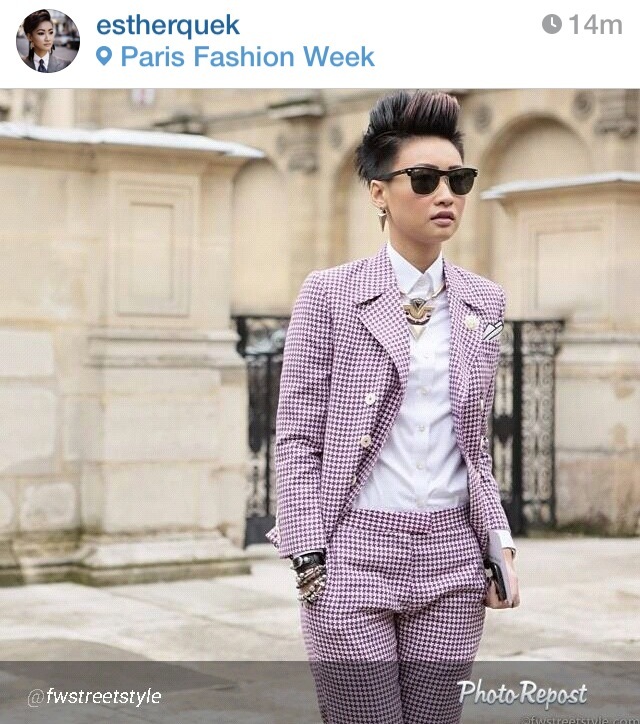 Seriously, who said that women cannot be dapper? Check out some of my favorite looks from her during Fashion week.